First & foremost, I have to thank my friend Rob Nargi for suggesting this to me, and for his favorite, which made #4 on my list. Thank you sir! The use of popular songs in films is not a new art. 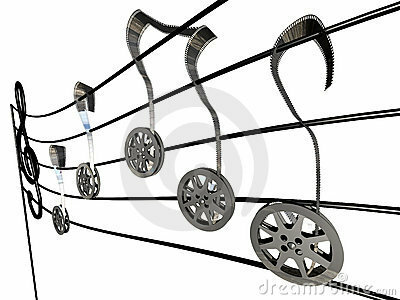 Directors have been cutting scenes in their films to popular songs for as long as films have been made. Often there are great pairings that happen, such as Mike Nichols' decision to set most of The Graduate to the songs of Simon & Garfunkle, or Paul Thomas Anderson's collaboration with Aimee Mann on Magnolia. In thinking about my top five examples though, I wanted to look at one-off uses of a pop song in a film used to heighten the emotion of the scene. These are my five favorite pairings of song & scene. I'm sure I've forgotten a bunch, and many just missed the cut ("Raindrops Keep Falling on My Head" from Butch Cassidy or "Head Over Heels" from Donnie Darko) but these five rose to the top. 5. Ferris Bueller's Day Off: "Please Please Please Let Me Get What I Want" covered by Dream Academy. The thought of doing a list like this without including a scene from a John Hughes movie is absurd, since he was the voice of youth, music & movies in the 80s. My favorite example has got to be the scene in Ferris Bueller's Day Off when the star trio slow things down with a visit to The Art Institute of Chicago. The use of an instrumental version of one of The Smiths' most famous songs is brilliant, and this scene, more than any other, still sticks with me even though I probably haven't watched this movie in five years. George Clooney's directorial debut, Confessions of a Dangerous Mind, is one of my all-time favorite movies. Charlie Kaufman's screenplay, based on Chuck Barris' "autobiography," is filled with tons of incredible dialogue & anchored by an amazing lead performance by Sam Rockwell. However, it was Clooney's use of the seemingly innocuous Peter, Paul & Mary song, played as Barris is losing his mind, that showed he had talent to spare behind the camera. David Fincher is an artist of the highest caliber, and since he got his start in music videos, it should be no surprise that he makes insanely good use of music in his films. This slot could have easily gone to the "Hurdy Gurdy Man" scene from Zodiac or the rowing competition from The Social Network set to "In the Hall of the Mountain King." However, when I think of music in a Fincher film, there's no better example than his use of "Where is My Mind" by The Pixies to end Fight Club since it artfully manages to combine music, imagery and the overall theme of the film into one scene lasting less than a minute. Gorgeous. Martin Scorsese is another director with whom I could fill an entire list of best uses of music. He started the trend right in the opening credits of Mean Streets with The Ronettes' "Be My Baby," and he's used "Gimme Shelter" by The Rolling Stones to great in effect in three of his films, and none of this is even mentioning his concert films like The Last Waltz. However, his crowning achievement has got to be this scene from Goodfellas in which Jimmy (Robert DeNiro)'s paranoia about the Lufthansa heist finally gets the best of him and he goes about getting rid of everyone that was in on the heist. The song is recycled again in the end credits, but it's the slow-motion images of death, coupled with the song & the narration by Henry (Ray Liotta) that linger with you after the film is over. For many years, Rushmore was my favorite movie, and I've likely seen it more than I've seen any other movie ever made. In the years that followed, Wes Anderson got a bit twee with his use of music, but there are so many solid examples early in his career ("Life on Mars" from The Life Aquatic, "Me & Julio..." from The Royal Tenenbaums) that made him a master of montaging scenes to songs of The British Invasion. The best example by far, and my favorite use of a song in a movie ever, has got to be the scene in Rushmore when Max (Jason Schwartzman) & Mr. Blume (a never better Bill Murray) go to war over their mutual love of Ms. Cross (Olivia Williams). This is what perfect editing looks like.